The Ho-Ho-Ho Holiday Read-a-Thon is hosted by Kimberly at Caffeinated Book Reviewer and Jennifer @ Bawdy Book Blog. I'd like to read at least two Christmas-y books. I'm a slow reader so I don't know if I can get more than that read, but I'm going to try! My very first Christmas novella, The Most Wonderful Time of the Year, came out this week, and it's just 99 cents! I finished three books for the read-a-thon, which is pretty good for this slow reader! I read North Pole Reform School by Jaimie Admans, Last Christmas by Talli Roland, and Snowed Over by Angie Stanton. I completed several of the challenges and participated in the Twitter chat Sunday night. It was a lot of fun! Thank you to Kimberly, Jennifer, and all the challenge hosts for a great weekend and an excuse to start reading Christmas books! Are you participating in the read-a-thon? What books are you planning to read? Feel free to leave a link to your sign-up post so I can come cheer you on. 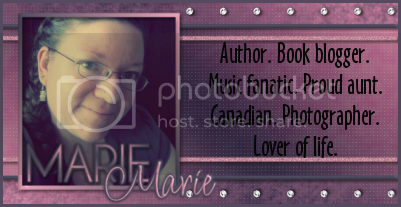 If you want to chat about Christmas books (or anything else) you can find me on twitter @SweetMarie83! Great list of books for the Read-A-thon! Im a new follower! Yay! Lovely to see my book there. And congrats on your novella, too. Very festive cover! Great list! I read Heather Graham's novel last year on a holiday book binge (which inspired Kimba and I this year!) and it was really cute!